Hello dosto. aaj me bataunga ki aap completely free SSL certificate kaise pa sakte hai. Aajkal SSL(https) ek website ke liye common hai. Agar website pe SSL laga hua ho to browser us website ke connection ko secure batata hai. 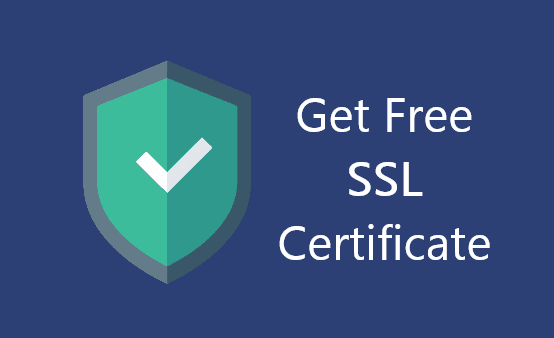 SSL for Free website aapko completely free SSL certificate degi. Yaha certificate Let’s Encrypt Authority ka hoga or iski validity 3 month hogi. Expire hone ke baad aap aasani se free me renew kbhi kara sakte hai. SSL for Free dava karta hai ki iska SSL certificate 99.9% browser dwara trusted hai. Jyada jankari ke liye aap unki website par ja sakte hai. Agar aap Cloudflare use karte hai to aapko alag se koi certificate buy karne ki jarurat nahi hai. Cloudflare hame free SSL provide karata hai. Ye Flexible and Origin dono certificate provide karata hai. Agar aap ek simple a SSL chahte ho to Flaxible use kare. Agar aapko Full SSL chahiye to aapko iske liye apne server par bhi ek SSL install karna padega. Find and select the SSL/TSL option. Ab aapke server par Cloudflare ka free SSL setup ho chuka hai. Ab aap full SSL ko full mode me activate kar sakte hai. kuch web hosting companies aapko one-click par free SSL directly cPanel se hi offer karti hai. Iske liye cPanel me option diya gaya hota hai. Kya aapki hosting companies free SSL certificate provide karati hai iska pata karne ke liye aap unke support helpline number par call karke pata kar sakte hai. Agar aapke man me koi sawal ho ya koi dikkat ho to comment ke jariye puch sakte hai. Great information sir. Kya aap blogger ke liye bhi koi trick de sakte hai free ssl active karne ki? Sir iske liye maine pahle se hi ek article likh rakha hai. sir mere website shivamzcreation.com par home page par ads show nhi ho rhe hai baki sbhi page par show ho rhe hai iska solution kya hai ? क्या आपने एड्स को होम पेज पे लगया है? helpful..thank you for sharing ..
Amazing tips but I think your site loading speed is slow so first speed it up. Ya Rahul, because I use Adgebra which cause loading speed for first time. Nice post cloudflare is best.